While the Roman Catholic Church is broadly supportive of the Theory of Evolution by Natural Selection, their formal doctrine continues to insist on “human exceptionalism”. That is, the Church requires that some dogmatic qualifications are applied to the science, when it comes to human evolution. The Catholic Church teaches that humans evolved from a single couple, Adam and Eve, rather than a broad population of ancestors. The learning outcomes in the GMGY course in Community National Schools require children to respect this ‘belief’ notwithstanding the fact that it is not scientifically sound and many parents think that it is nonsense. “uphold, and be accountable to the patron for so upholding, the characteristic spirit of the school”. This legal requirement to uphold the Characteristic spirit is defined by the patron of the school. In the case of Catholic schools, we know what this means. Where Catholic doctrine on creation conflicts with contemporary science (for example, Humani Generis cannot possibly be reconciled with contemporary evolutionary biology) then dogma wins. In this paragraph, Pope Pius XII describes both where the Roman Catholic Church insists that the science is wrong and also describes why the Church requires that this must be the case. The reason why the Church insists that the science is wrong, is in order to preserve the doctrine of Original Sin. This doctrine requires that all humans throughout history, were directly descended from an actual historical character called Adam, who was responsible for The Fall of Man as an actual historic event. The area where the Roman Catholic Church insists that contemporary science is wrong, is what Pope Pius XII refers to as “polygenism”. That is, the Roman Catholic Church cannot abide the proposition that humans evolved from a broad population of ancestors, rather than from a single couple, Adam and Eve. Unfortunately for the Church, the consensus among contemporary evolutionary biologists in this area is independently supported by overwhelming evidence from many different disciplines. These include the study of genetic diversity, archaeology, anthropology, evolutionary anatomy and population genetics. There are various estimates of what the minimum human population was during historic population bottlenecks. The lower end of these estimates shows that there could not at any point have been fewer than 10,000 human individuals. So contemporary science definitively rules out the idea that at some point there were only 2 humans, Adam and Eve. Consequently, whichever human male throughout history the Church may call Adam, there were certainly other humans who lived after Adam who were not directly descended from him. In other words, the human exceptionalism described in Humani Generis cannot be reconciled with contemporary evolutionary biology. 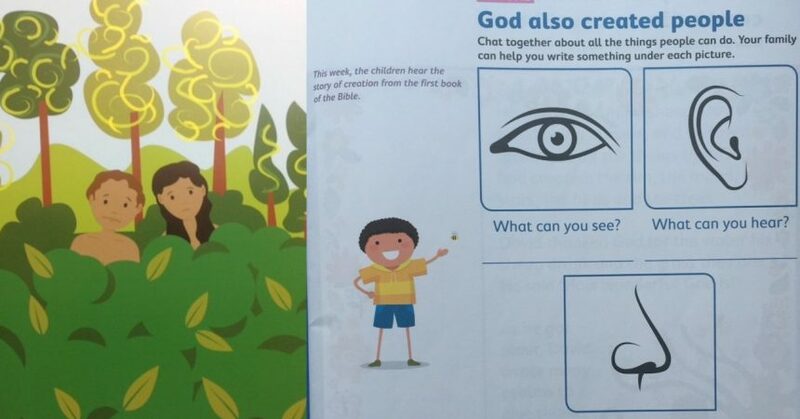 In the Irish Education system, objective scientific truths must be made bend into whatever shape a particular religious ethos requires. Our education system would be better off if science was not diluted by religious dogma. There is a controversial idea of what is called ‘the African Eve’ in that only one tribe was ever successful in migrating from Africa sixty thousand years ago and its descendants populated the world over the Millenia. The reason for this is that a gene exists only in females outside of Sub Saharan Africa and is not found in females in that geographical region. World he is adamant that it an African Eve is fact.